Deksel Cloth, 2016 | Naturally dyed American wool and cotton; hand dyed and hand woven. Weven Pillow, 2016, detail | Naturally dyed American wool and cotton; hand woven and hand dyed. 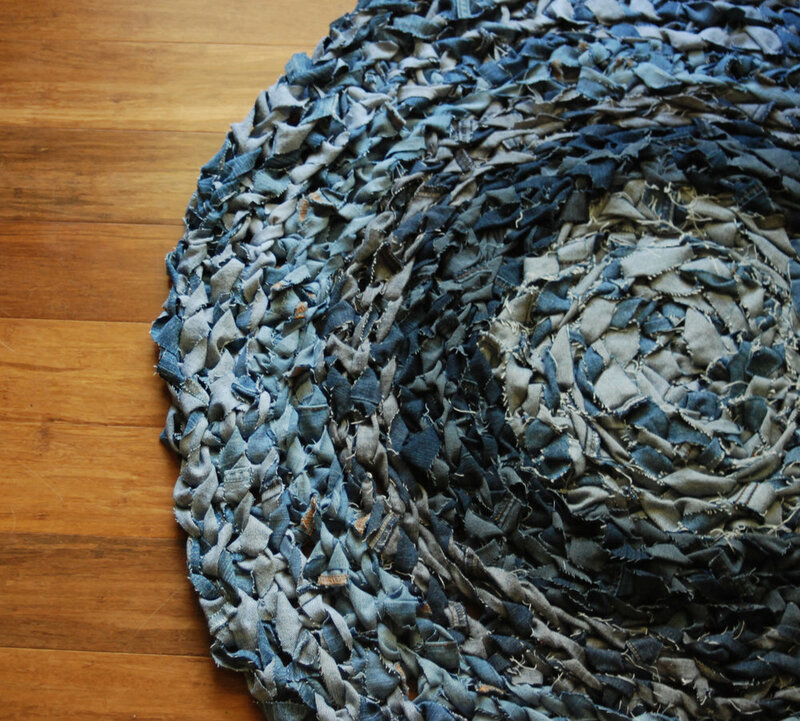 Herstellen Round Rug, 2017, detail | Upcycled denim; hand crocheted. 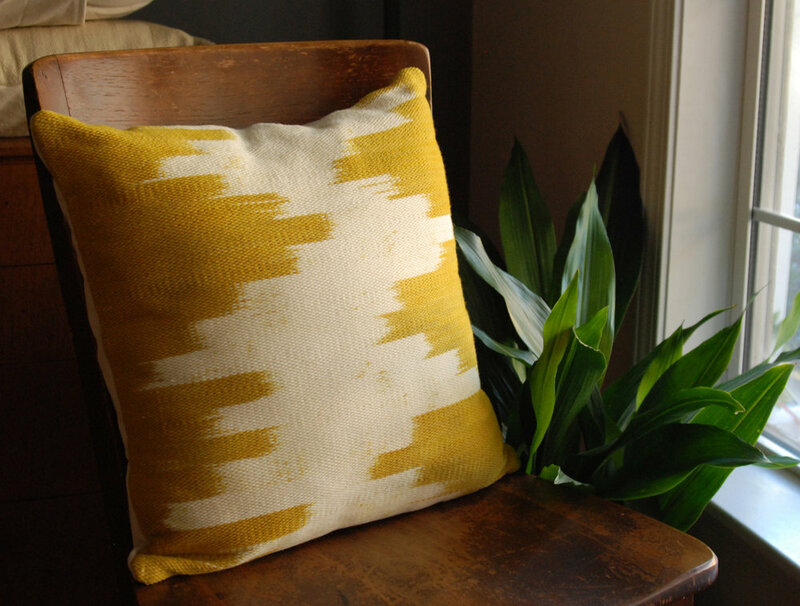 Weven Pillow, 2017 | Naturally dyed American wool and cotton; hand woven and hand dyed. Rafelen Napkin Set, 2017, detail | Naturally dyed American cotton; hand dyed. Bodem Rug, 2016 | Naturally dyed American wool and cotton; hand dyed and hand woven. Herstellen Cotton Rug, 2017 | Upcycled cotton rope; hand crocheted. Herstellen Rectangle Rug, 2017, detail | Upcycled denim; hand crocheted.